Look before you go. 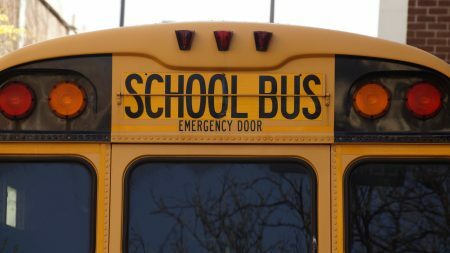 More kids are hit by cars/buses near schools than at any other location, according to the National Safe Routes to School Program. Both the parent and student should look for cars, making sure that the area near the school is clear before getting out of the car. Give the right away. For drivers passing by, make sure you give the pedestrians the right away when crossing the street, whether they are walking or biking. Always come to a complete stop and watch for kids when you are approaching a school zone with flashing pedestrian signs. This means kids are in the area and it’s your job as a driver to be aware. Be smart. Kids that walk, ride their bikes or take the school bus need to ensure their safety. Those crossing the street, always use a crosswalk and look both ways to see if cars/buses are approaching. Those taking the bus, make sure you are standing away from the curb when a bus is pulling up or driving away, that way you don’t get hit. Together, we are all responsible – as pedestrians and drivers, to make this year’s back to school a safe return for everyone!